To ensure holistic development of children, sports are an integral part of our curriculum. The school has a lavish playground and the sports facilities include badminton courts, basketball courts, football field and a large cricket ground. The school understands the importance of technology in education therefore the facilitators of learning are technology savvy individuals with a passion to learn thereby making the teaching learning process more interactive and friendly. We adopt a child-centred; activity based learning approach along with the continuous and comprehensive evaluation system based on CBSE guidelines. “I’m not afraid of storms, for I’m learning how to sail my ship.” These famous words inspire me the most. Challenges are part of learning differently and doing things much wisely. My vision while opening the school was to give quality education and develop required skills in the young generation. My purpose and objective is to prepare, engage and inspire our students to be their best in a quickly changing global community. Bansal Education Trust is a caring and compassionate organization – guided by what’s in the best interest of our students, (he says with a grin) since a child, I always wanted to open a K-12 school. The irony of life is that I ended up opening an engineering college first! Perhaps, better late than never! 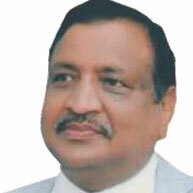 The Chairman of the school, Shri Girja Shankar ji Agarwal, is a soft-spoken yet dynamic, humble visionary who has many-a successful business ventures running parallel and is a well known philanthropist. 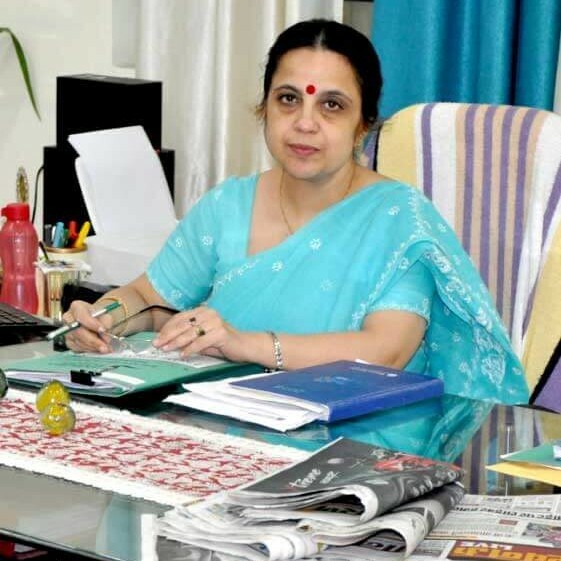 Welcome to Seth M. R. Jaipuria School Bansal Campus. The aim of the school is to provide unmatched qualitative education par excellence: to develop the best that is latent in children and to encourage the child to explore and revel in the joy of learning. The endeavour is to retain smiles on the faces of the children channelise the energies of youthfulness while sensing the beautiful connectivity between the heart, character, nation and the world. The mind and the spirit of the child has to be awakened to look for, search and learn whatever is new to them .The Curriculum is linked from the pre-primary level and is closely monitored providing the best opportunity for students to develop academic skills and gradually expand knowledge. Educational Technology has permeated all areas of life. Our endeavour is to integrate technology and its range of application ‘throughout the classroom’ in an attempt to improve the quality of learning instruction. Mordern teaching strategies,provision of student enrichment unit, recognition of various student learning styles and culture of academic support create a special learning community at Seth M.R. 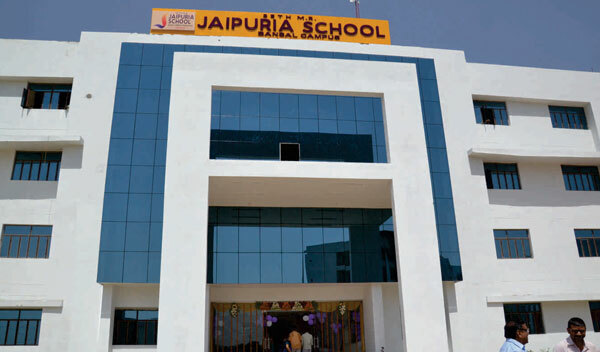 Jaipuria School Bansal campus. Globalisation and increasing diversity in man’s needs has generated an enhanced demand for competitive skills ,and here at school, our purpose is to provide the forum where such needs shall be fulfilled. Our focus is to train children to become autonomous learners, our earnest effort is to provide students with an education that allows them to recognize and realize their ‘dreams’ and skills and to be able to ignite the passion to excel. Students will be given an environment where in their attributes and strengths can be a fillip, their creativity developed and spontaneity nurtured. They develop into adults endowed with analytical and logical thinking, a mind that is curious and inquisitive and a sensitivity that makes them humane in thought, word and deed.